Members of the current Katala Foundation successfully implemented the Philippine Cockatoo Conservation Program (PCCP) since 1998 on Rasa Island, Narra, Palawan. The frame condition of this endeavour was a Memorandum of Agreement (MOA) between the Department of Environment and Natural Resources – Biodiversity Management Bureau (DENR-BMB) and the Katala Foundation which is renewed every five years. PCCP is implemented in four sites in Palawan namely in the municipalities of Dumaran, Narra, Balabac, as well as within Puerto Princesa. A separate MOA is forged with the Palawan Council for Sustainable Development updated in 2012. Katala Foundation Incorporated (KFI) is duly registered under the Security and Exchange Commission (SEC) on August 19, 2002 under SEC No. CN200253626. Katala Foundation, Inc., a non-profit, non-stock, non-governmental organization, has been active in protecting and conserving threatened endemic wildlife, particularly the Philippine Cockatoo,Palawan Forest Turtle, Palawan Pangolin, Calamian Deer and Balabac Mouse-deer where the last strongholds of the respective species can be found. Katala Foundation’s niche developed over the years of research, advocacy and development works in order to protect and conserve the biological diversity along with people. Its vision is to effect conservation of biological resources through active community involvement - conserving with people. To attain this vision, Katala Foundation employs participatory and ecosystemic approaches to all its programs and activities. KFI’s vision is to effect conservation of biological resources through active community involvement – conserving with people! Strengthen the organization through staff development. Philippine Cockatoo Conservation Program (PCCP), since 1998: Species conservation program aimed to conserve the critically endangered Philippine cockatoo Cacatua haematuropygia from extinction through, e.g. nest protection, identification, protection and management of key conservation sites, habitat restoration, conservation education, community involvement, rescue of individual birds, translocation, conservation breeding for later re-introduction, etc. Its implementation is under the framework of the Memorandum of Agreement (MOA) between the DENR-BMB and the KFI and PCSD and the KFI. Key sponsors and partners: Loro Parque Fundacion (LPF), Chester Zoo, Zoologische Gesellschaft für Arten- und Populationsschutz (ZGAP, incl. Fondsfuer Bedrohte Papageien and Strunden-Papageien-Stiftung), ZooParc de Beauval and Conservation Association (Association Beauval Conservation et Recherche), UNDP-SGP5, Whitley Fund for Nature, Municipalities of Narra, Dumaran, and Balabac, Jewelmer Corporation, Iwahig Prison and Penal Farm, Puerto Princesa, DENR and PCSDS. Philippine Freshwater Turtle Conservation Project (PFTCP), since 2007:A MOA between KFI and BMB-DENR on the Philippine Freshwater Turtle Conservation Program was signed in November 2006. This joint undertaking aims to conserve Philippine freshwater turtle populations and habitats, to conduct scientific research on biology and management of these turtles and its habitats and to educate and capacitate stakeholders for its conservation. Ex-situ conservation and conservation breeding is addressed at KIEBC in Narra. 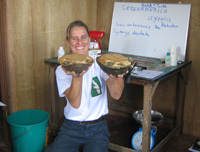 The MOA provides the legal basis to obtain confiscated turtles from recognized rescue centers and/or to accommodate otherwise rescued turtles to the center. Current activities give special attention to the Palawan-endemic critically endangered Palawan Forest Turtle Siebenrockiella leytensis (Pagong or Bakoko). Key sponsors and partners (alphabetical): Andrew Sabin Family Foundation, Anonymous Donors, Turtle Conservancy (TC), Chelonian Research Association, IUCN/SSC Tortoise and Freshwater Turtle Specialist Group, North of England Zoological Society Chester Zoo, Rainforest Trust, Turtle Conservation Fund (TCF), Turtle Survival Alliance (TSA), Wildlife Reserves Singapore Group, Zoologische Gesellschaftfür Arten- und Populationsschutz (ZGAP), DENR andPCSDS, and the Municipalities/City of Balabac, Bataraza, Brookes Point, Culion, Dumaran, El Nido, Narra, Puerto Princesa City, Rizal, Roxas, San Vicente, and Taytay. Katala Institute of Ecology and Biodiversity Conservation (KIEBC) (since 2006): The overall goal of KIEBC is conserving Palawan’s biodiversity through establishment of an education, conservation and research institution in close vicinity to threatened target species and ecosystems. Its specific objectives are: 1) To serve as a venue for conservation education with local population, youth, national and international visitors as main target groups. 2) To develop and implement protocols for rescue, conservation breeding, habitat restoration, and eventually reintroduction of selected highly threatened wild species of Palawan, like Philippine Cockatoo or Philippine freshwater turtles. 3) To create an institution for research on applied ecology and biodiversity conservation, with focus on threatened species management, priority area conservation, and restoration. Another component within KIEBC aims to establish an arboretum and forest restoration site in Katala Institute. This will contribute to the ex-situ conservation of highly threatened plant species in Palawan, and will at the same time create a gene pool for rare species and a source of seeds for future forest restoration projects on the island. Key sponsors and partners: Loro Parque Fundacion (LPF), Chester Zoo, Zoologische Gesellschaft für Arten- und Populationsschutz (ZGAP, incl. FondsFuerBedrohtePapageien and Strunden-Papageien-Stiftung), Zoo Landau, Wroclaw Zoo, ZooParc de Beauval and Conservation Association (Association Beauval Conservation et Recherche), Municipality of Narra, Wildlife Reserves Singapore, European Association of Zoos and Aquaria (EAZA) Shellshock Campaign and the Turtle Conservation Fund (TCF), Herpetological Society of Germany (DGHT), anonymous donors, DENR, PCSDS. Katala Institute of Ecology and Biodiversity Conservation (KIEBC) (since 2006): This program addresses the conservation needs of the Palawan endemic Pangolin Manis culionensis. An initial study on the trade of the species in Southern Palawan was conducted in collaboration with TRAFFIC Southeast Asia in 2008. Studies on the “Phylogeny and Taxonomic Status of the Palawan Pangolin” and on "Conservation Status of the Palawan pangolin Manis culionensis” followed. In 2017, KFI was issued a SEP Clearance for the entire program aimed at conserving Palawan Pangolin populations and their habitats; conducting scientific research on the biology, ecology and management of the Palawan Pangolin and its habitats, and socio economic frame conditions leading to threats and strategies for conservation; and educating and capacitating stakeholders PPCP on natural resource management and conservation, rehabilitation/restoration of species habitats, and environmental awareness. Key sponsors and partners: Wildlife Reserves Singapore Conservation Fund, anonymous donors, IUCN SSC Pangolin Specialist Group, Zoological Society of London (ZSL) Philippines, IUCN Asian Species Action Partnership (ASAP), TRAFFIC SEA, Municipalities of Aborlan, Narra, Roxas, Dumaran, San Vicente, Dumaran, Taytay and the City of Puerto Princesa, PCSDS and DENR. Palawan Deer Research and Conservation Program (PDRCP): This is joint project of the PCSDS and the KFI to protect and conserve the two endemic ungulate species to the Palawan Faunal Region: Calamian Deer Axis calamianensis and the Balabac Mouse Deer Tragulus nigricans. Calamian Deer inhabit mostly dry woodland and forest-grassland mosaics of the Calamian island group. The deer could serve as flagship species for these highly threatened lowland vegetation formations including associated flora and fauna. The Balabac Mouse Deer is likewise restricted to lowland forests of the Balabac group of islands, where it is only recorded from Balabac, Ramos and Bugsuk. Both species are currently listed as “Endangered” (IUCN, 2016), due to ongoing direct persecution mainly for bushmeat, habitat destruction and degradation, combined with their very small ranges. The main objective of the first phase of the proposed program was to provide updated information on population and distribution of the two target species to inform future conservation interventions. 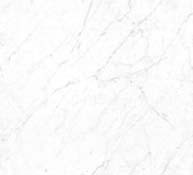 This information was generated through conduct of hunter interviews and by population surveys in selected representative sites. The second phase of the program continues parts of the research component, but involves implementation, most important of all the establishment of a captive population for Calamian deer as assurance against imminent danger of extinction in the wild, but also conservation education campaigns and assessments for potential reintroduction sites. Key sponsors and partners: North of England Zoological Society/Zoological Gardens Chester (NEZS), Zoologische Gesellschaftfür Arten- und Populationsschutz (ZGAP), Wroclaw Zoo and Los Angeles Zoo and Botanical Gardens, Phoenix Zoo, Zoo Landau in der Pfalz, Municipalities of Balabac, Busuanga, Coron, and Culion, Provincial Government of Palawan, LGU Narra, Jewelmer Corporation, anonymous donors, PCSDS and DENR. Forest rehabilitation and protection (since 2007): Activities focus on the protection and rehabilitation of former or existing tropical forest areas with the aim of sequestering carbon and of creating or preserving habitats of threatened wildlife species in the Philippines and hence contribute to the conservation of climate and biological diversity. KFI enters into long-term agreements with local communities in order to facilitate rehabilitation of degraded or long-term persistence of existing forests in the Philippines in mutual agreement with the donor. Project approaches include: a) Selection of suitable areas based on the potential for carbon sequestration or the actual carbon stock and the value for biodiversity conservation; b) Management of the acquired areas; c) Acquisition of mature forests – in case the forests are in danger of conversion or degradation in a short or middle term (“avoided deforestation”); d) Monitoring of acquired areas; e) Forest inventories after the intervention to assess standing crop and therefore carbon in the living biomass; d) Assessment of selected groups of plants and animals with focus on occurrence of threatened species. Efforts also include the establishment of a Critical Habitat in Dumaran Island in an area that is of global conservation concern and an importation watershed for Dumaran. Key sponsors and partners: Zoo Landau in der Pfalz; Stadtholding Landau, Germany, World Association of Zoos and Aquariums, La Ola Leisure Bath, Philippine Tropical Forest Conservation Foundation, anonymous donors. Graduated in Biology at the University Hohenheim, Germany. In the past eighteen years, worked in projects related to biodiversity conservation, mostly in tropical Asia (Philippines, Indonesia, Nepal, China). Co-founder and vice-president of the Katala Foundation. 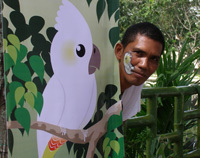 Programme leader of the Philippine Cockatoo Conservation Programme from 1998 to 2007. Currently working as adviser for Wildlife Management and Conservation Biology at the Tanjungpura University in West Kalimantan, Indonesia. Graduated Agri-Business Management at the University of the Philippines in Los Baños; At age 39, is the youngest to be elected as Senate Majority Leader since the First Congress in 1946 and after World War II; served the 3rd District of Bukidnon for nine years since the 11th Congress in 1998.; father of the Biofuels Act of 2006; “father” of the New Cooperative Code or RA 9520 or the Philippine Cooperative Code of 2008; founded the Philippine Deer Foundation and Katala Foundation; and served as a Governor of the Philippine National Red Cross and active member of the Red Cross Youth Committee and Concerned Divers of the Philippines. Graduated in Biology in 1990 and PhD in Biology in 1993 at the Justus Liebig University In Giessen. 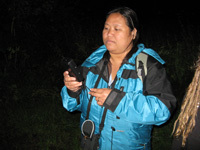 Working in wildlife conservation since 1994: Ornithological surveys in Panay& Negros, Philippines (1994), community-based coastal resource management in Leyte, Philippines (1995-1999), guest professor in aquatic and marine biology at the Western Philippines University, Palawan, Philippines (1999-2005), freshwater turtle trade consultant of Traffic Southeast Asia in Malaysia and Indonesia (2006), and since February 2007 Co-manager of the Philippine Cockatoo Conservation Program. Project director of the Philippine Freshwater Turtle Conservation Program. Founding member of KFI and since December 2008 serving as Secretary of the Foundation. Finished BS Environmental Science from the Palawan State University and acquired units in MS Extension Systems Management at the Western Philippines University; six years of working experience as Administrative and Conservation Education Officer in the Philippine Cockatoo Conservation Programme (PCCP); scholar, Global Darwin Scholarship Programme hosted by the Field Studies Council in UK; contributes in making education and publicity materials, fund raising and research; continuously working as the Netherlands-based KF website developer; acquired certificates on Web Design and Publication courses; a member of International Webmasters Association; KFI's Founding Member and served as Secretary from 2001 to 2008. Finished BS Agricultural Engineering and a graduate of Advance ROTC from the Palawan National Agricultural College (WPU). Acquired units in MS Extension Systems Management at Western Philippines University. Worked in Government offices (DAR, NIA, LGU-Narra) and 4 years as Environmental Officer in a mining firm based in Narra, Palawan; 3 years working experience in Bilateral GTZ (German-Philippines) Development Project in Palawan. Late of 1998 started working with the Philippine Cockatoo Conservation Program, now as PCCP – Field Operations Officer & KFI's founding member.